The summer of 2015 may well be remembered as the time our culture took a nose dive into darkness. June brought us the news of the cosmetic transformation of the Olympic athlete, formerly known as Bruce Jenner into Caitlyn. This was quickly followed by news of the Supreme Court’s legalization of homosexual marriage. Then in July we had the gruesome undercover footage showing a Senior Director of Planned Parenthood describing how it is despicably selling body parts of aborted children, some obtained by using the horrific practice of partial birth abortion to harvest certain body parts intact. With such an assault on marriage, family, and children it is important to remember that we are in a spiritual battle and it’s time to return to prayer. Since there is no such thing as ‘coincidence,’ God has brought us to this particular week of July. Each year the US Congress of Catholic Bishops (USCCB) sets aside the week which contains the date of July 25, the anniversary of the Papal Encyclical, ‘Humane Vitae,’ as Natural Family Planning Awareness Week. They ask for Hours of Adoration, Rosaries & a Novena be devoted to the ‘Rebirth of Chastity and Purity’ in our country and throughout the world. The Archdiocese of St. Paul-Minneapolis has asked us to unite in praying this Novena beginning tomorrow, July 18 and lasting through July 26, the feast of Sts. Joachim and Anne. The Novena is simply saying one Our Father, one Hail Mary & one Glory Be each day while meditating on the specific prayer reflections for that day. 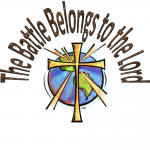 We must always keep in mind that “the battle belongs to the Lord” (2Chron 20:15) and we fight with the knowledge that He has already secured the victory. Let us join in this Novena and pass it along to friends and family. Mary, our mother and perfect model of chastity and purity, pray for us!